If you’re like me, you have a lot of Mad Magazine books from the 1970s, a classic copy of Oui from 1979, and three Hungarian cookbooks. In other words, you’re a well-read individual. But how do you get those books onto your reading device? Shelfie, that’s how. 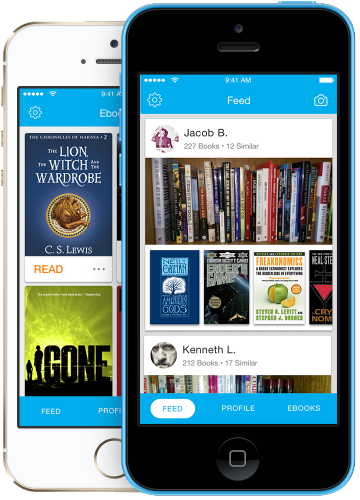 Created by Peter Hudson and Marius Muja, Shelfie allows you to take a picture of your bookshelf and return a list of discounted or free ebooks for download. Muja and Hudson studied together at UBC and Hudson originally built software for hydrologists. Marius is a PhD in computer vision. Together they solved the “big data” problem of turning paper books into digital books. Hudson self-financed the startup and now can identify about 45 million titles. They raised a small Angel round in 2014 with Michael Serbinis, founder of Kobo. The team is currently working on content deals and have gotten 150,000 titles available for download. “For an average Shelfie user this means that about 10-20 percent of the books on their shelves will be eligible for free or highly discounted bundled eBooks,” said Hudson. Book publishers, for their part, are slowly climbing aboard the Shelfie train. Because they are benighted incumbents staffed by Philistines who don’t understand true art, however, they are a bit slow to understand what Shelfie brings to the table. If enough people start requesting e-copies of The Vintage Mad and The Rip Off Mad, however, I’m sure they’ll come around.